In the Legend of Zelda: Breath of the Wild, if you want to trade your monster parts then you have to find the secret dealer called Kilton. He has some great stuff for you in his collection. Among them is the Dark Link costume. 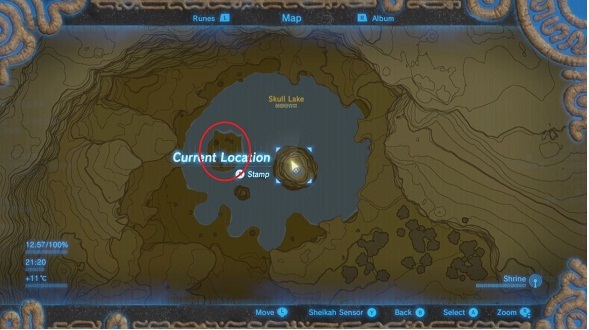 Kilton can be found at a certain place and at a certain time in the game. On the first encounter, Kilton stays low in the north of Hyrule. He is located in the Akkala region on the small island in the skull lake. You can find him there every day, because he is only there at night. You can reach the area quickly, because there is a shrine on the right side of the column, where you can go fast. To wait for the night, you can also make a camp fire and rest until dark. Now is the time to talk to Kilton. He is a trader who makes a tour of Hyrule after your conversation. But you can still visit his monster shop regularly. His shop is easy to spot, as a balloon floats above the house, similar to a hot-air balloon. You can visit there only at night, between 20 and 4 o'clock in the morning. What Can You Buy in Kilton's Monster Store? You can easily reach Kilton by going to the Daqo Chisay Shrine, which is located in Gerudo City. Go from there a few steps to the north and you are already there. Kilton does not really change his position, he's just there where you're looking for him. This can also be near Kakariko, the village of Zoras or Taburasa. The main thing is that it is already dark. You should not underestimate the enemy masks. If you carry them, you can no longer attack the monsters and you can just walk through them.